Award-winning author, A. R. Silverberry, holds a BA in music and a PhD in psychology. Feeling the call for a creative life, he's a watercolorist, pianist, and composer. Silverberry's family is filled with successful writers, actors, artists, and musicians. He remembers being fascinated at an early age as his father explained how to create a plot by throwing together characters with opposing motives. Before he was old enough to write, he stole away with his mother to dictate a story. The love for fantasy was stimulated by a babysitter, who, with a seemingly endless supply of Oz books, read him to sleep. Fairy tales, Tolkien, and the spine-tingling tales of Robert E. Howard sealed the deal. Silverberry has been a licensed psychologist since 1991. He works with children, adolescents, and adults; and continues to balance his clinical practice with writing. Wyndano's Cloak is his first novel. Jen has settled into a peaceful life when a terrifying event awakens old fears—of being homeless and alone, of a danger horrible enough to destroy her family and shatter her world forever. She is certain that Naryfel, a sinister shapeshifter, has returned and is concentrating the full force of her hate on Jen's family. But how will she strike? A knife in the dark? An attack from her legions? Or with the dark arts and twisted creatures she commands with sinister cunning. Wyndano's Cloak may be Jen's only hope. If she can only trust that she has what it takes to use it . . .
". . . A grand adventure . . . a coming-of-age soon to be classic . . . Silverberry’s creativity and imagination are second to none." Reviewed by William R. Potter, for Reader’s Choice Book Reviews. DISCOVER THE MAGIC OF WYNDANO'S CLOAK! What if your world was six miles wide and endlessly long? After a devastating storm kills his parents, five-year-old Wend awakens to the strange world of the Stream. He discovers he can only travel downstream, and dangers lurk at every turn: deadly rapids, ruthless pirates, a mysterious pavilion that lures him into intoxicating fantasies, and rumor of a giant waterfall at the edge of the world. Defenseless, alone, with only courage and his will to survive, Wend begins his quest to become a man. Will tragic loss trap him in a shadow world, or will he enter the Stream, with all its passion and peril? 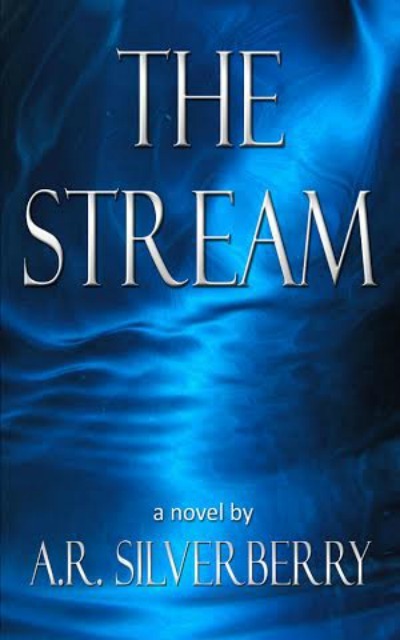 Part coming-of-age tale, part adventure, part spiritual journey, The Stream is a fable about life, impermanence, and the gifts found in each moment.